Here I was thinking that I wasn’t going to get very many good 3D platformers this year and it seems I’ve been finding them as of late. The latest to come across my plate is A Hat in Time. Here you play a little girl with a big hat and an even bigger problem. On her voyages, she comes across this planet and due to some unfortunate events, loses all of her magical hourglasses that give her spaceship it’s ability to… do whatever it’s supposed to do. (The abilities of the hourglasses are given, but the reason for her ship isn’t.) *Edit*It would appear that they power the ship on some level, but that doesn’t satisfy my imagination. Time travel would be the most reasonable answer, but that’s never really covered directly because I guess it wasn’t really important to the story. How does it all play out? How old is she? Is she a Time Lord? Well let me break it down for you! These challenge levels were a welcome break. Finding the entrance was a challenge at times as well. 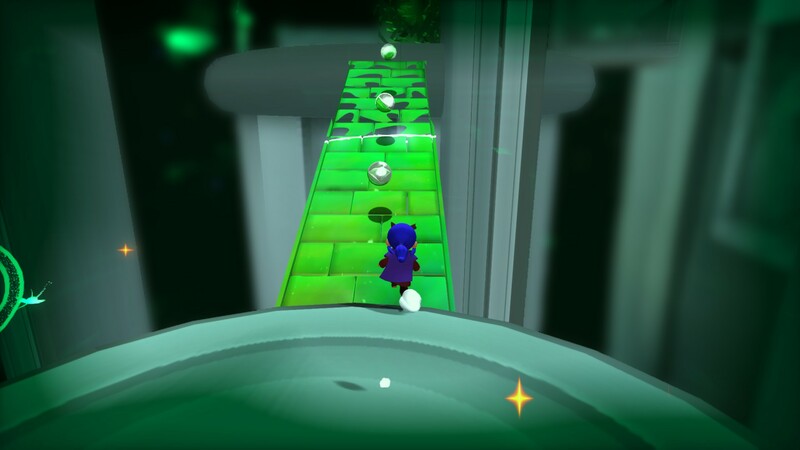 A Hat in Time really did seem heavily influenced by Super Mario 64 and it works out well. So this little girl (since she has no given name) is off on a mission to get all of her time pieces back and along the way she’ll meet a host of characters that are (basically) all voice acted with a lot of love. There are very few instances where they bothered me with a few par tries, but those are buried under all of the other great jobs. It really helped to bring the characters to life rather than your typical mumbling jargon you’ll get in other games in this genre. It’s not a negative to not have voice acting, but voice acting done well is obviously a very welcome addition! From the good guys to the bad, they all added to the wonderfully crazy experience that Gears for Breakfast took me on while exploring A Hat in Time. Does make me a diversity hire or simply trans-bird? Speaking of places to go, the worlds are varied. From a spooky forest area to beautiful mountain-top, vertigo inducing heights with a lava cake! Yes, there was a level that had a lava cake with a bunch of jumping traps and all sorts of mayhem. While they were mostly a joy to jump around in, this is also where my first gripe comes in. There seemed to be a lack of polish on some of the walls and ledges where one can jump. There were numerous places that I would find myself sliding off of a wall that was a few inches away from a ledge that I was planning on catching and progressing. These were in basically every area except for the spooky forest (sans the giant tree). There was a ton of jumping there, but no real issues with fake walls. To be fair, none of these hampered going about the main story. Some seemed like they would and should have been caught and a chunk of them were me simply trying to “Skyrim” my way up to some area I probably wasn’t supposed to access at that given time (or was I?). I did actually make it past most and isn’t that what 3D platformers are all about? Exploring! Some seriously creepy stuff can be found here; I actually felt dread. On a more positive note, the areas are varied and large. We’re not talking kilometers, but there was a lot to look at, go into, jump onto and off and figure out how to get to. 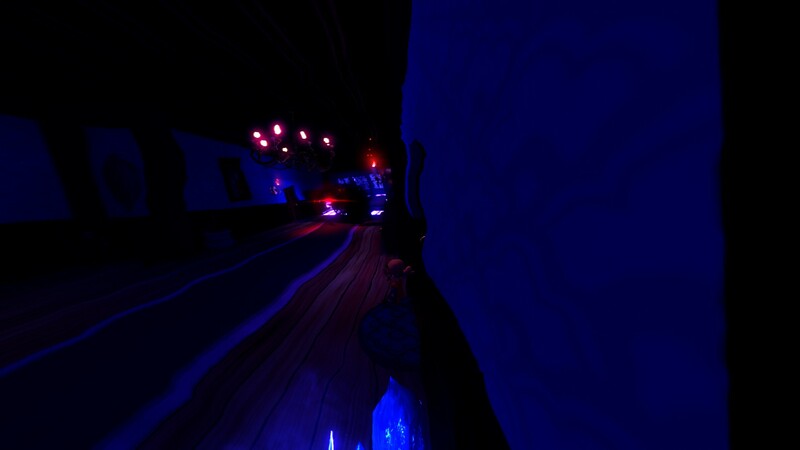 As I mentioned before, there was a movie studio replete with a murder mystery train, the spooky Subcon Forest, the vertigo inducing Apline Skyline that had the lava-cake level and three(I think) other “biomes” (there was a lot going on in that level). To say there was a lot of eye-candy would be insufficient. It took me about 13 hours to complete it as much as I did and finish the story line. I am far and away from getting 100% on achievements and I’m keenly aware of some of the levels that were designed in a way that I could not solve them. Both were special side levels that weren’t necessary, but it frustrated me that I couldn’t figure them out. Weeeeeeeeeeeeeeeeeeeeeeee! Also, yes you have options to change your clothes and hair color. 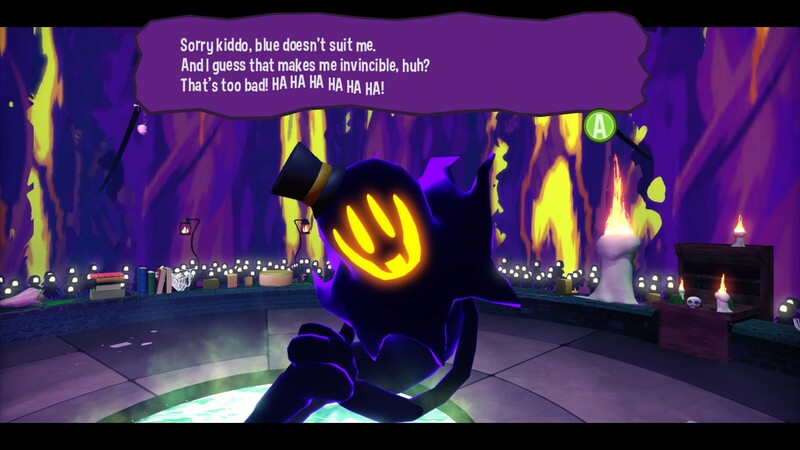 This guy was seriously my favorite baddie in A Hat in Time. The fight we had was excellent and the dialogue had me rolling! Nifty reality shifting hat is nifty! 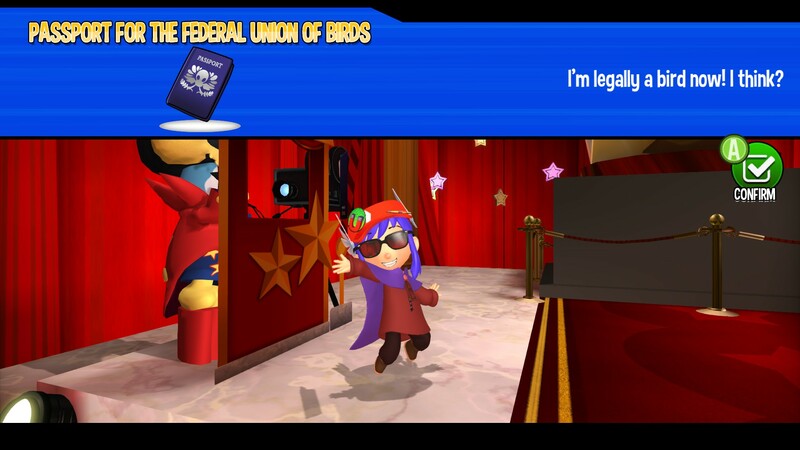 Another fantastic adventure is had here in A Hat in Time. 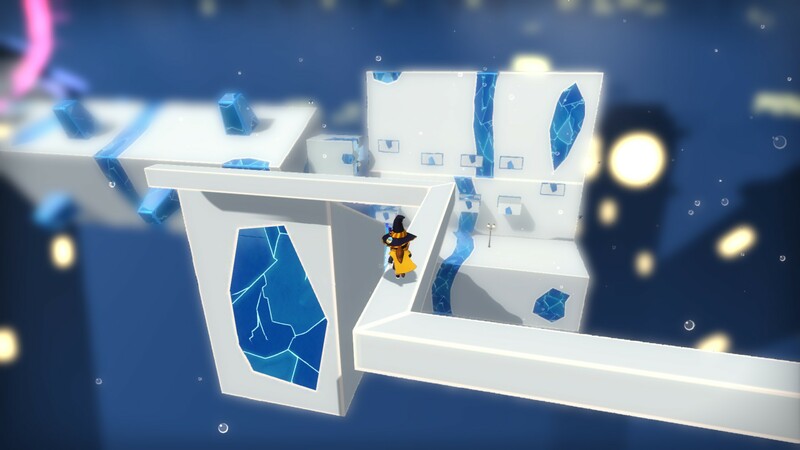 The levels are very colorful, large and a lot of fun to explore. The different characters that you’ll meet along your way are all very cool (minus the scary princess, I didn’t like her) and some of them were just down-right fantastic! (I’m looking at you Snatcher (or at least that’s what I believe his name is according to a wiki)). The voice acting was a pleasant addition to the game and very well done. The story wasn’t very deep, but it was enough to engage me into the world as crazy as it was. 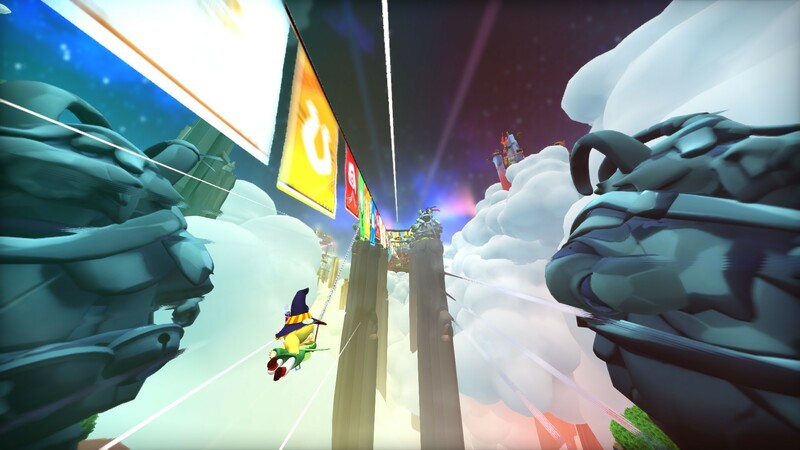 A Hat in Time was a blast and there’s more official content to come… whenever that comes around. I’m looking forward to it. I wasn’t even sure if my 7 year-old would like this. But if Jon Amarelo likes it, it must be gewd, I mean tasty. There is some timing and jumping that may be a bit difficult for a 7 year old depending on her skill level, but it’s nothing a loving Dad can’t conquer!